How Cheap Do Cadillac Sedans Have To Get Before People Buy Them? Recently we reported that Cadillac is throwing all kinds of money at the ATS and CTS sedans due to slow sales, while Escalade production can't keep up with demand. As the unofficial Jalopnik new car correspondent, I did some searching and found you can get killer deals on Caddies, but will it help? What certainly doesn't help is when you search for an ATS on Autotrader with a "manual transmission" and 562 listings appear only to find out that almost none of them have three-pedals. But if you are not hung up on rowing your own, the 6-speed automatic is a fine gearbox and there are some excellent discounts to be had. For under 37k you would be lucky to get a 320i with only a few options, and much less power. So the ATS might not be better than the 3 series, but several thousands less than a comparable equipped BMW 328, make it better value. Looking for something a little bigger? Travis made the bold claim that the CTS is the best car GM has ever built. 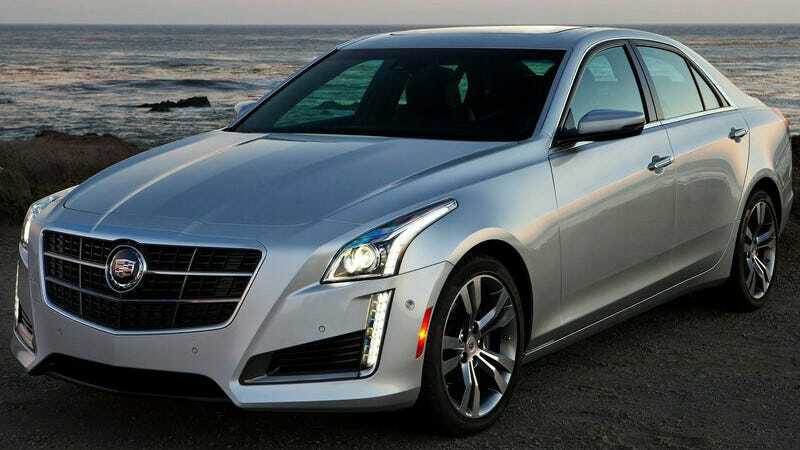 I don't know about all that, but the CTS is a really nice mid-size luxury sedan that can easily hold its own against the Germans. If you thought that ATS was cheap, have a look at this 2014 CTS Luxury with a $16,000 discount. Think on that for a second...sixteen grand off a brand new luxury car with full warranty coverage. You don't even need to wait for the depreciation! As Matt discussed, Cadillac's problem is that their flagship isn't a sedan; it's a truck. If they intend on having the same level of prestige as their German competition, over-relying on factory incentives like these aren't helping. But that is a chicken and egg problem...how do you sell cars that are perceived as inferior without heavy discounts? That is a bad position for GM, but a good opportunity for car buyers who aren't hung up on badges. If you were in the market for a compact or mid-size luxury car, would you consider a new ATS or CTS given the massive price drops? Or is it a V series or nothing?